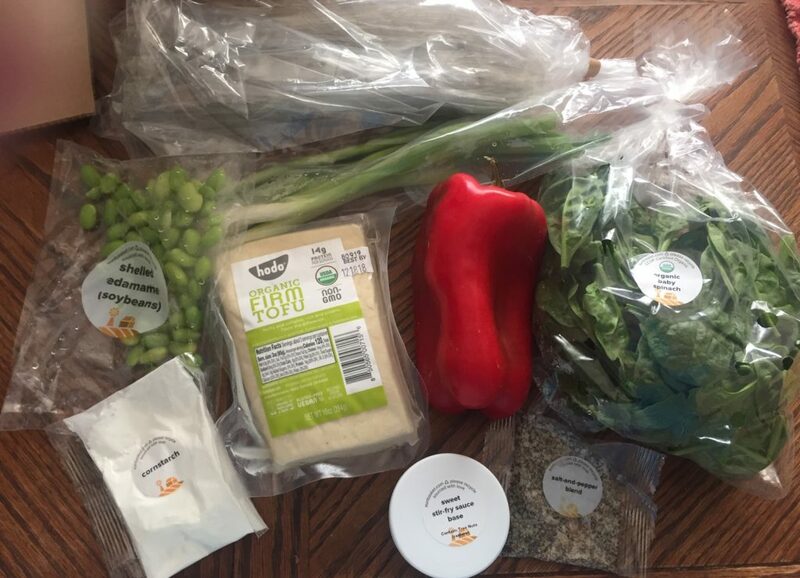 Cooking for my vegan daughter is always a challenge, so I was happy to see that Sun Basket offered several vegan meal kits. 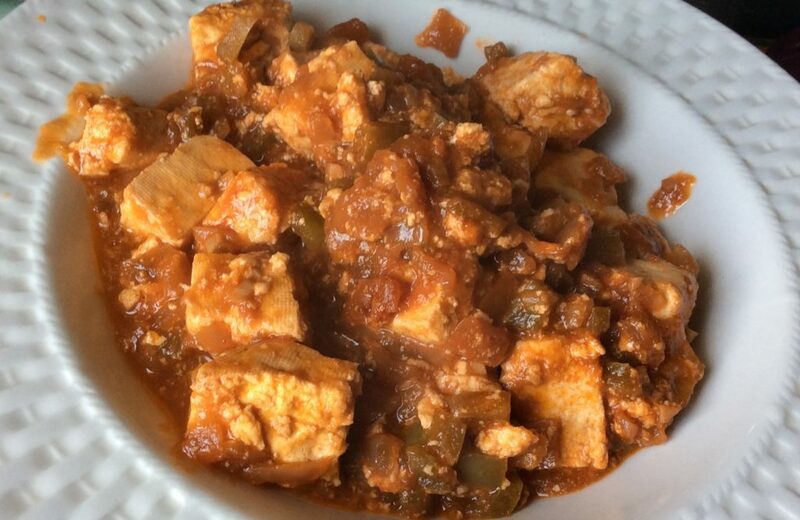 Unfortunately, I have a picky vegan who doesn’t like felafel or chili – the two other vegan meals available this week. 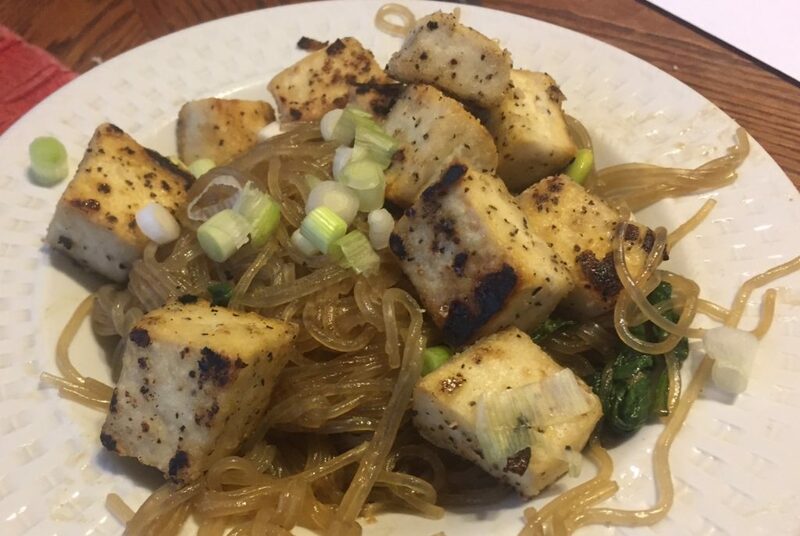 She thus was left with salt-and-pepper tofu stir-fry with glass noodles as her only choice. She makes a lot of stir fries for herself using tofu, so she wasn’t super excited about this recipe, but food is food and food that mommy makes is better than food that you have to make yourself. All in all, she was “OK” with this meal kit. She liked the noodles and the stir fry sauce, though she wished there had been a greater variety of vegetables. To be fair, I omitted the red pepper that came with the kit because she doesn’t like red peppers. 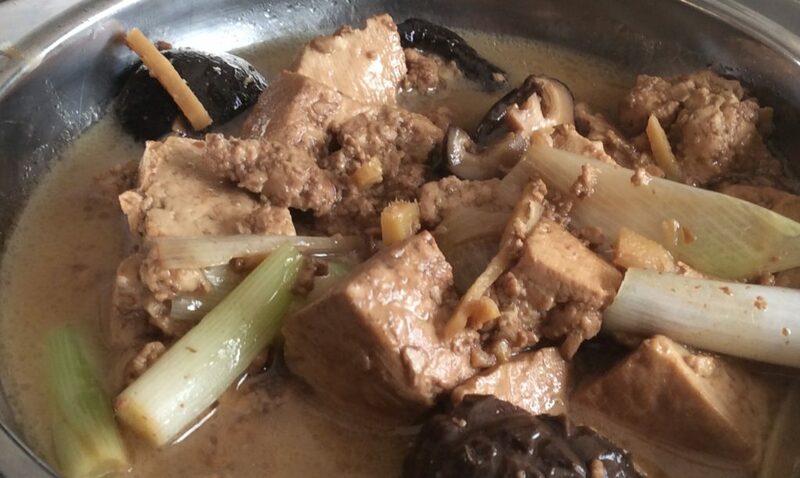 She wasn’t too happy with the tofu itself – mostly because she’s sick of eating tofu. Tofu, she says, always tastes like tofu, no matter what you do to it. She’d like it if some of these kits came with other fake meats. All the ingredients for this kit arrived fresh and were still usable a couple of days later when I actually made the meal – but I don’t think they’d have lasted much longer. They were good quality ingredients, and the meal was rightly portioned. She was full after eating half of the meal-for-two and is happy to have leftovers for today. I paid a discounted price of $11 for this meal, and it might be worth that – but I don’t think it was worth the $24 regular price for the kit. Of course, time is money so your millage may vary. I made Ropa Vieja for dinner tonight, one of my old-time favorites, and decided to serve the same thing to my vegetarian daughter. She was quite happy with the results. Really, all I did was make the sauce, reserve some of it before I added the beef, add some vegetable base and tofu. She was happy and I was happy I was able to feed her. 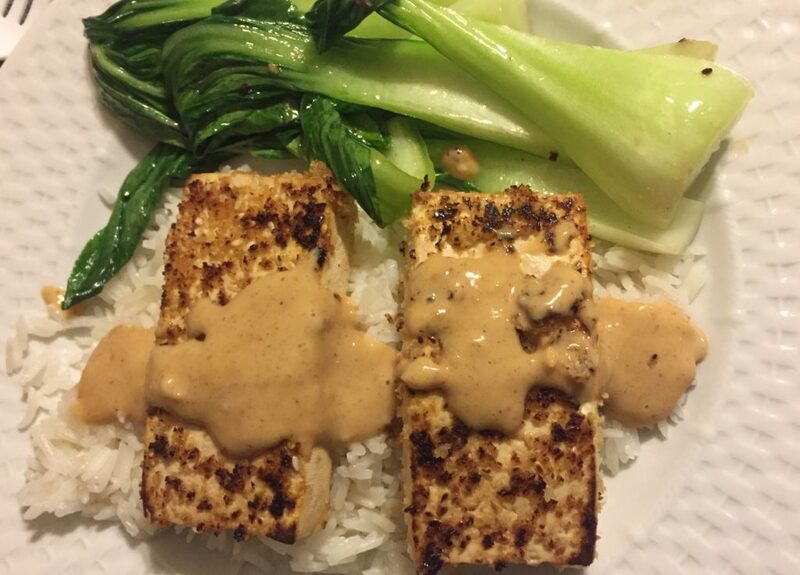 I’m sure you can substitute another meat substitute for tofu, but that’s what I had at home. I always serve this with fresh sourdough bread. Heat olive oil over medium heat in a medium sauce pan. Add the onion and garlic and cook until they start to caramelize. Add the bell pepper and cook until soft. Add the tomato sauce, wine, bay leaf and vegetable base. Season with salt and pepper to taste and bring to a boil. Cover, reduce the heat to low and cook for 15 minutes. Uncover, and the tofu cubes and cook for another 15 minutes. Taste for seasoning and serve.